I love this fact: For every $1 spent in manufacturing, an additional $1.48 is generated in economic activity. That’s the largest multiplier effect of any economic sector in the US and means that, perhaps more than any other industry, manufacturers have the ability to positively impact a community, state, and entire national economy. 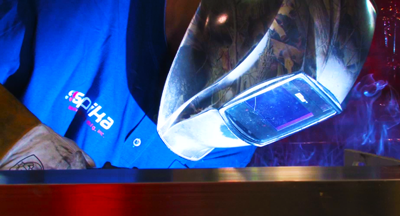 Manufacturing is an exciting industry, constantly shaped by new technology that provides opportunities for the highly educated and inexperienced alike. Average manufacturing compensation is 128% of the average compensation level in all industries combined. In addition, manufacturers perform 70% of all private-sector R&D, innovating new products and processes that are key to economic growth and competitiveness. It’s no wonder that there is such a push to bring manufacturing back to America, nor that the “Made in America” label carries such weight. Yet the rules relating to the use of the label are somewhat unclear. Current California law (though there are movements to change it) requires every single piece of a product to be manufactured and assembled in America in order to use the “Made in the USA” or “Made in America” label. That means every nut, bolt, pin, and washer must be sourced in the U.S. The Federal Trade Commission, on the other hand, requires only that the product be “all or virtually all” made in America in order to qualify. The varying definitions of “Made in America” create confusion for both manufacturers and end users. Worse, due to a lack of substantial enforcement of the label guidelines, companies sometimes choose to have all major components of a product manufactured outside of the States and simply assemble it the U.S. They call it "Made in America," but is that really the spirit of the designation? When it comes down to it, what are we really looking for when we seek to buy American? If you ask me, I want to support the economy, encourage jobs, ensure that the product was made safely and with a guarantee of employee wellbeing, and receive a product built to the highest standards and quality. I want something built with the American pride. Perhaps instead of relying on labels, the best thing to do is to decide what is important to each of us, and go to the manufacturer for answers. 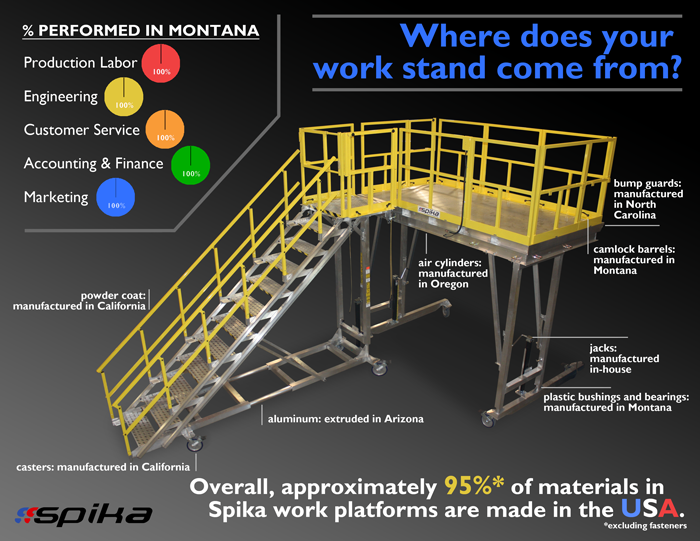 Do you require a 100% made-in-America work platform? Ask the manufacturer where the hardware came from. Do you want to support American jobs and expect that at least the main structure is American made? Ask if any subcomponents are outsourced. Or maybe you just want at least 50% of the product to be made in America. Your manufacturer should be able to give you a breakdown of the domestic and foreign value of parts, materials, and labor. So buy American with pride. Buy American with confidence. But do your research, because you may not always be getting what you expect.